Cape Town - Centuries by Sarel Erwee and Cody Chetty helped the Dolphins produce a defiant final day Sunfoil Series display to secure a draw against the Titans at the City Oval in Pietermaritzburg on Thursday. The hosts went into day four with their backs to the wall at 160 for two, still trailing by 124 runs, but they put up a brilliant fight to end the match on 427 for four. Erwee and Chetty were in the heat of the battle, producing telling tons. Opener Erwee made 132 (223 balls, 17 fours, 1 six), his fourth first-class century, while Chetty produced a career-best 142 not out (257 balls, 18 fours, 2 sixes) - the ninth time he had managed a three-figure total. 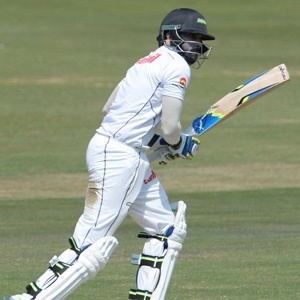 The overnight pair put on 148 for the third wicket, before Alfred Mothoa (1/54) broke through. Dolphins captain Khaya Zondo (23) then put on exactly 50 with Chetty for the fourth wicket, until the stand was broken by Shaun von Berg (1/103). That proved the final strike as Dane Vilas went on to record his highest score since joining the Dolphins to help secure safety. The wicketkeeper made an unbeaten 58 (68 balls, 6 fours, 1 six) and shared in a fifth wicket stand worth 99. Tabraiz Shamsi failed to find a wicket on day four and ended with two for 158.